24/04/2008 From March 20 to 23, within the walls of Expocentr «Expocenter» Krasnaya Presnya traditionally held V Moscow International MOTOBIKE SALON! 19/03/2008 At MOTOBIKE SALON 2008 magazine «Moto» playing mini chopper! 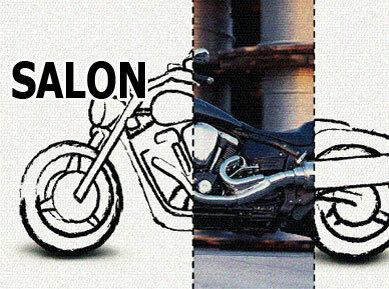 17/03/2008 Alexander Keller will present their work at the exhibition MOTOBIKE SALON 2008! 14/03/2008 Already 274 tickets reserved for the party in the Hard Rock Cafe !!!!! 04/03/2008 Ural motorcycle company will present a brand motortechnique Patron Edition Truva at MOTOBIKE SALON 2008! 03/03/2008 Party in the Hard Rock Cafe! Everybody can join! 13/02/2008 Russian Association Kastomayzerov hold for visitors MOTOBIKE SALON 2008 a master class on your own bench! 06/02/2008 NEXUS MOTORS introduce visitors MOTOBIKE SALON 2008 a new range of scooters! 01/02/2008 The exhibition MOTOBIKE SALON 2008 Aoyama Motors will introduce visitors to new items motortechnique Honda!! 29/01/2008 Company AVM at MOTOBIKE SALON 2008! 25/01/2008 The exhibition MOTOBIKE SALON Suzuki is planning to make your own stand the main novelties of 2008! 25/01/2008 Company Abeksim "will introduce visitors MOTOBIKE SALON 2008 new items! 22/01/2008 Company DENCOM introduce you to the new model of Q2 - the world famous line of Bluetooth-set by HM SCALARIDER at MOTOBIKE SALON 2008! 26/12/2007 Congratulations to the New Year and Christmas! 20/10/2007 The Italian House of Benelli will officially represent its innovation – BX cross model. 26/03/2007 From 22 to 25 March 2007 in Expocentr Expocentr successfully hosted the 4-th Moscow International Exhibition "MOTOBIKE SALON" - one of the most exciting and spectacular exhibitions of the spring season! 22/03/2007 Mini-chopper for the poem! 15/03/2007 CHOOSE THE BEST MOTO YEAR! 05/03/2007 Company «Avtoport» introduce you to the brand BMW Motorrad! 28/02/2007 BEST MOTO Russia at the exhibition «MOTOBIKE SALON 2007»! 26/02/2007 Hot new items motortechnique Honda! 19/02/2007 Model motorcycle "The First" from the company «Moto Art Design Studio» at "Russia Bike of the Year"! 09/02/2007 International seminars «Scooters Honling. Technology of production and trade in 2007 »in the framework of the" MOTOBIKE SALON 2007 "
07/02/2007 SUZUKI Motorbikes in 2007 at the exhibition "MOTOBIKE SALON 2007! 05/02/2007 The course of driving, or improving the skills of driving a motorcycle, a gift from "A1-Biking"! 12/01/2007 JAVA on the "MOTOBIKE SALON 2007! 27/12/2006 Meet! TRINITY уфймшобс from IRON EAGLE at "MOTOBIKE SALON 2007! 26/10/2006 Top model and interesting new items in anticipation of the season! 26/10/2006 26/10/2006 The best models and the latest amazing vehicles on the season eve! 10/10/2006 Congratulations Irbitsky motorcycle plant with a 65-year anniversary! 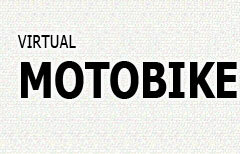 20/03/2006 Company Avtomotovelo "announced its participation at the exhibition" MOTOBIKE SALON 2006! 06/03/2006 March 25, 2006 a prize «RUSSIA BIKE of the YEAR»! 06/03/2006 GAZETA.RU favored by the Internet partner of the Third Moscow International Exhibition MOTOBIKE SALON 2006! 21/02/2006 The "Artex" introduce new BMW HP2 Adventure at "MOTOBIKE SALON 2006! 21/02/2006 The "Artex" introduce new BMW R1200GS Adventure for the exhibition "MOTOBIKE SALON 2006! 21/02/2006 The "Artex" introduce new BMW F800ST at "MOTOBIKE SALON 2006! 21/02/2006 The "Artex" introduce new BMW R1200S in the exhibition "MOTOBIKE SALON 2006! 21/02/2006 The "Artex" introduce new BMW K1200GT at "MOTOBIKE SALON 2006! 13/02/2006 In anticipation of the exhibition "MOTOBIKE SALON 2006" Company "BikerNews" satisfied ухретблгйа! 07/02/2006 Company Baltmotors "will introduce new items in the exhibition" MOTOBIKE SALON 2006 "
02/02/2006 Company Vostokskuter "will introduce new models at the exhibition" MOTOBIKE SALON 2006 "
01/02/2006 MOPEDA.NET Company will present at the exhibition "MOTOBIKE SALON 2006" New! 20/01/2006 All fans of motorcycles "Ural" invite to the stands of the exhibitors «MOTOBIKE SALON 2006» - "Ural-Rus"
19/01/2006 Exhibitors' MOTOBIKE SALON 2006 "- the Finnish company ALL RIGHT this year marks the 20 years! 19/01/2006 About his participation in the exhibition "MOTOBIKE SALON 2006" confirmed the company Nexus-Motors! 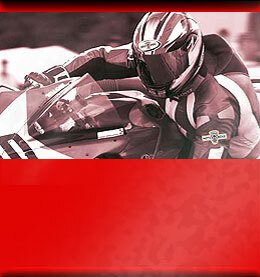 20/12/2005 NRMF - official partner of the organizer of the exhibition «MOTOBIKE SALON 2006» accredited! 05/03/2005 For the first time at the exhibition MOTOBIKE SALON 2005 visitors will be presented to two new items from Trinity Sports - Motorcycles Yamaha - MT01 and the R-6. Do not miss it! 18/02/2005 «Better to see once than to hear 100 times»! Workshop Juri Shif Motorcycles - castes Silver Stock ( «Silver Stork») - namely MOTOBIKE SALON 2005! 15/02/2005 Lifestyle of the BMW! The exhibition company Artex will present three premieres from BMW. Do not miss it!